European shares posted the second loss Wednesday except some utilities and telecoms stocks. Their modes gains helped take the edge off a further decrease in the banking sector. The Stoxx Europe 600 index closed at 258.94, down 0.3%. Specifically, the U.K. FTSE 100 index lost 0.8% to 5,363.45, the German DAX 30 index slipped 0.8% at 6,070.74, and the French CAC 40 index dropped to 3,617.28. In the banking sector, banks were the biggest fallers with Barclays (UK: BARC) lost 1.9%. French largest bank Credit Agricole (Euronext: ACA) declined 3.1%. Electricite de France announced late Tuesday that its board of director approved the sale of its UK. Electricity distribution networks to Cheung Kong Infrastructure. Its shares advanced 0.6%. Also in Paris, shares of GDF Suez (FR:GSZ 26.46, +0.17, +0.65%) were up 0.6%. Newbury-based Vodafone Group plc (LSE: VOD, NASDAQ: VOD) dropped 1% in London, following its announcement of selling its entire 3.2% stake in China Mobile for about 4.3 billion pounds. Vodafone Group is the world’s largest mobile telecommunications company measured by revenues. In contrast, London-based telecommunications services company, BT Group 0.9% and Telecom Italia added 0.5%. 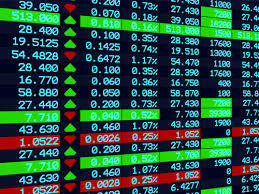 In the Asian market, stocks also fell, the Dow Jones industrial average stumbling 1 percent the previous day, following by reports of the results of EU stress tests of 91 banks in July. Such banks had more risky government debt than thought, understating some lenders\’ holdings of potentially risky debt. Asia experienced a sluggish sentiment. According to Jackson Wong, investment manager for Tanrich Securities in Hong Kong, said that would be an excuse for Asian markets to take profits. Japan\’s benchmark Nikkei 225 shed 214.73 points, or 2.2 percent, to 9,011.27. Shanghai Composite Index in China lost 0.5 percent to 2,685.18, Hong Kong\’s Hang Seng index 1.4 percent to 21,095.91. The surging market last week helped investors take profits. Some analysts are worried about the decline in crude demand due to slowing U.S. economic growth in the second half. Bank of America Merrill Lynch forecasts crude will reach average $ 78 a barrel in the second half and $ 85 in 2011. In other Nymex trading in October contracts, gasoline declined 0.57 cents to $ 1.927 a gallon and heating oil 0.33 cent to $ 2.071 a gallon while natural gas for October delivery was up to $ 3.878 per 1,000 cubic feet.